Please support Blackhawk Community Credit Union in helping us meet our goal! The American Legion Post 30 and the Veterans of Foreign Wars Post 2708 are preparing to create a Veterans Memorial in Central Park downtown Edgerton. The proposed site is pictured here. 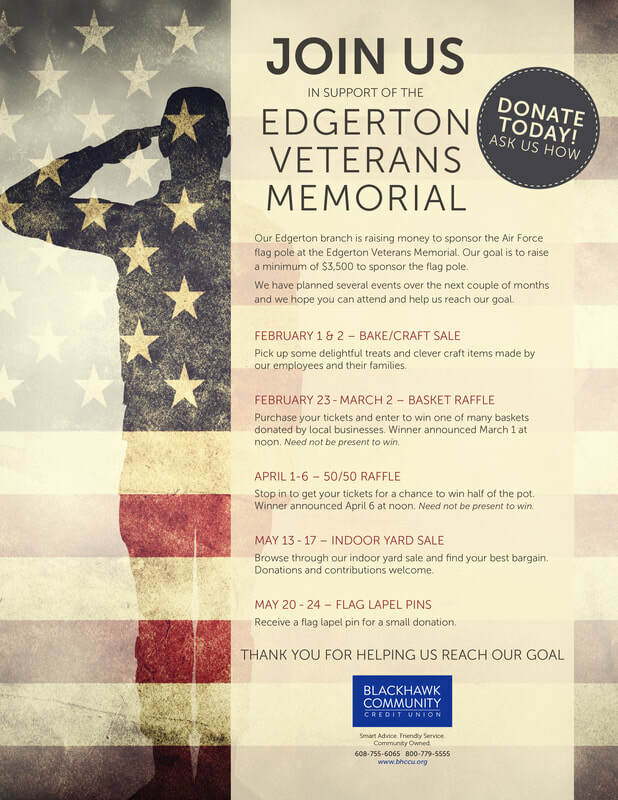 You may help in this endeavor by donating or sponsoring items that will be displayed. The items available for sponsorship are Flags & Poles for each of the six branches of service, Monuments, Benches or Brick Pavers. If you wish to donate money please go to the donations page. If you would like to sponsor an item please go to the contact/order page. so your contribution may be ​tax deductible.